Atheneum Books for Young Readers, 9781416983415, 448pp. 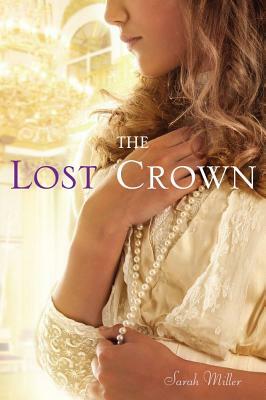 Tsar Nicholas II’s four ill-fated daughters provide a fictional, inside look at Imperial Russia’s dying days in this thoroughly researched, poignant and compelling account of how the deposed Romanovs coped with abdication and arrest from 1914 to 1918. At the beginning of World War I, Russia’s grand duchesses, Olga (19), Tatiana (17), Maria (15) and Anastasia (13) lived privileged, protected lives with their mild-mannered father, Nicholas, their anxious mother, Alexandra and their hemophiliac younger brother, Aleksei. Relying on letters, diaries and photographs of the imperial family as well as memoirs of people who shared their last years, Miller imagines how war and revolution irrevocably transported the Romanovs from their palace to house arrest in rural Tobolsk and final captivity in Ekaterinburg. The human side of their story is related chronologically through the alternating first-person voices of insightful Olga, organized Tatiana, kind-hearted Maria and impish Anastasia. Removed from the political drama exploding outside their doors, Olga, Tatiana, Maria and Anastasia emerge as isolated, unique young women with their own dreams and fears. As they nurse wounded soldiers, care for their fretful mother, amuse their ailing brother and suffer humiliation and deprivation, the four sisters symbolize family devotion and enduring hope in the face of bitter fate. Jun 2011. 448 p. Atheneum, hardcover, $17.99. (9781416983408). surely reveal the perilous situation in which they find themselves. Each Grand Duchess comes across as a unique personality, with the best known, Anastasia, the most distinctive. But each girl is given time and space to reveal and reflect, and like the best historical novels, this allows modern-day teens to see parts of themselves in very different people. Sometimes the Russian words and history overwhelm the narrative, but by the heartbreaking book’s conclusion, readers will be caught up in the girls’ story. A glossary, a note about the Russian calendar, and an affecting epilogue complete the book. "A dramatic, powerful narrative and a masterful grasp of life in this vanished world." "As Romanov fiction goes, this is probably the best of the bunch."